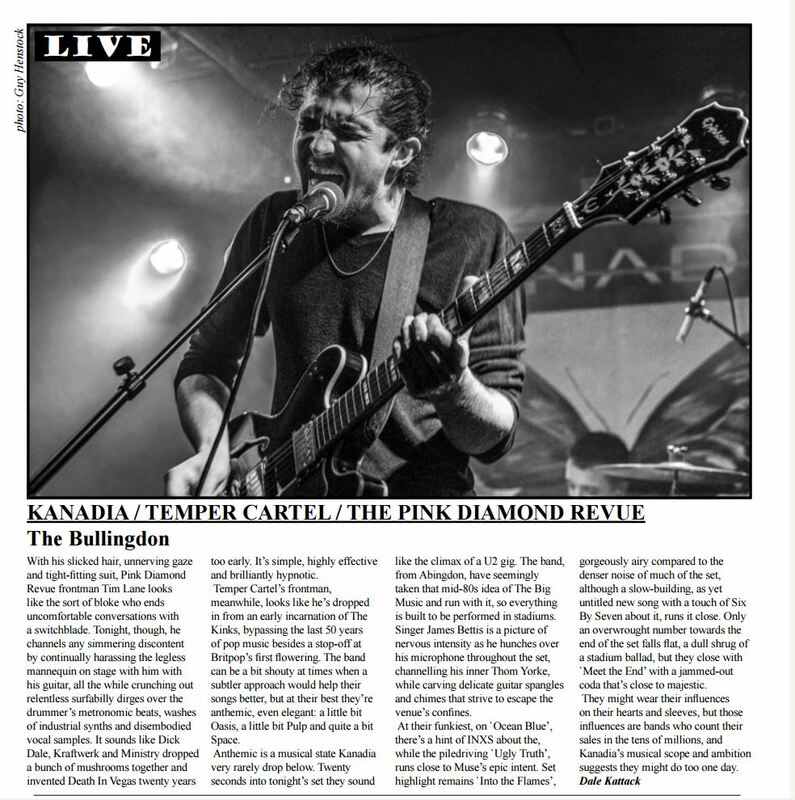 Following on from my post last week of photos from the Kanadia gig at The Bullingdon, the local monthly music magazine Nightshift have used one for their review…. This was for the Nightshift March edition review More photographs of which can be found here . This is the photograph they used. is built to be performed in stadiums. coda that’s close to majestic. suggests they might do too one day.